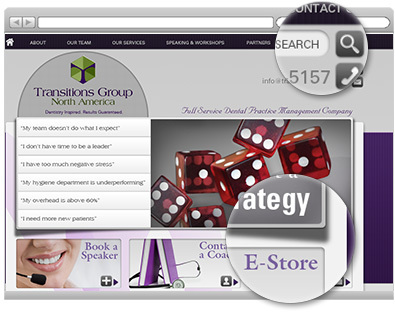 With a team of talented designers at your fingertips you can have any number of custom elements created just for your practice. 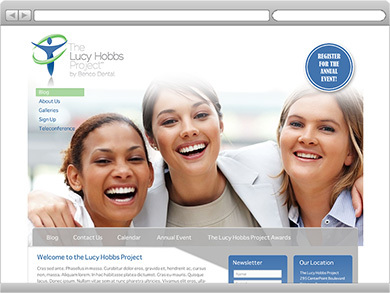 See examples of personalized work we’ve done in the past. Our designers will create a unique brand image for your business. Our custom logo design package offers original designs, up to three revisions, application to your web design and an assortment of high resolution vector images for use in print. 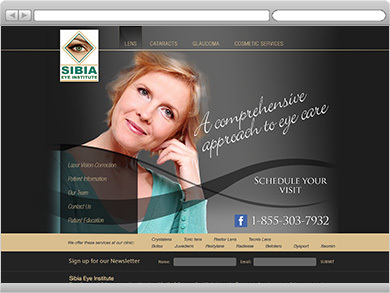 A great looking website is a powerful and vital tool for marketing your products and services. 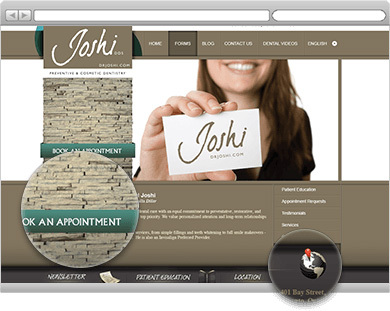 Our designers will create a website design that represents your practice brand, and will work closely with you to ensure your vision is brought to life. 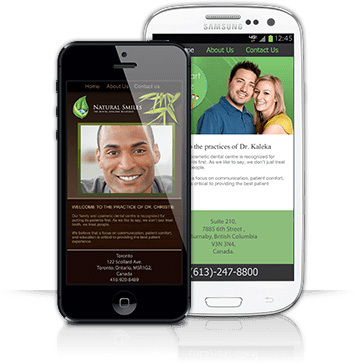 A mobile site version and custom newsletter is included will be included in your custom design package. 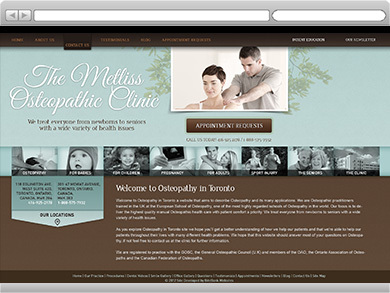 Will online forms, clients can fill out documents online and submit them to you from the comfort of their own homes. 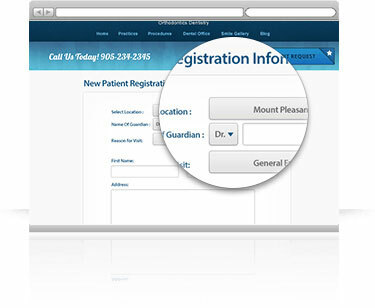 A completed form will be automatically sent to your office via email and decrease patient wait time. Aurisbank creates professionally edited, one page e-newsletters ready to send to an unlimited number of your subscribing clients. 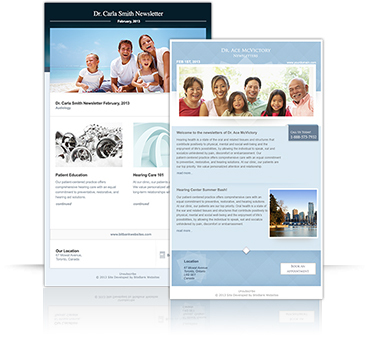 Your unique E-newsletter will be customized to match your website branding. We generate content for up to 6 newsletters that are sent to your subscriber list 6 times annually. 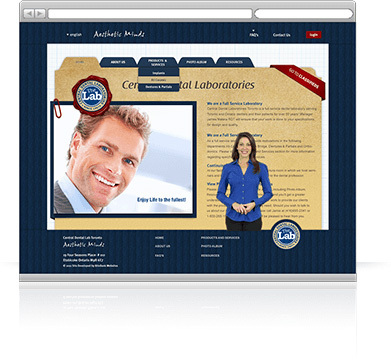 Aurisbank will create a condensed version of your website allowing for easy viewing on mobile devices. 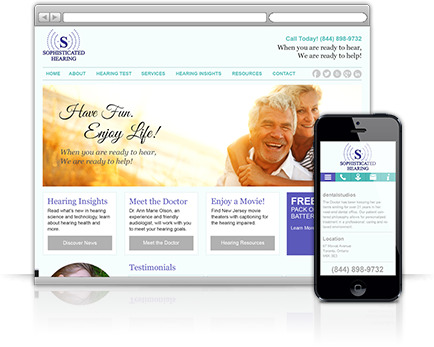 Your mobile site will also feature a one-click phone number dialing function and an interactive map for directions to your practice. Videos are a great way to engage your clients and showcase your expertise. 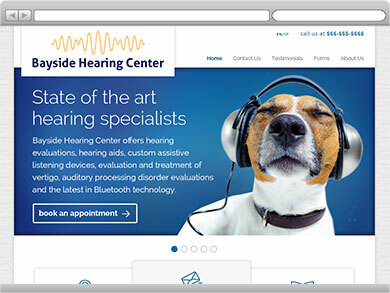 If you have custom marketing recordings or videos, we can integrate them right into your website! Add a personalized look with a custom icon set. A unique and memorable icon helps to elevate your brand. Our skilled designers will work with you to create custom icons based on your vision and practice branding.